The 9-5 is no longer 9-5. Our daily grinds involve earlier mornings, even later nights, ever-increasing work-loads and that all crucial problem – taking our work home. And Dolly Parton wasn’t wrong: It’s enough to drive you crazy if you let it. So don’t. Get through the working week by looking forward to new surroundings, exciting possibilities and the fresh, clean air of the countryside, far from crowded Tube carriages and congested roads. 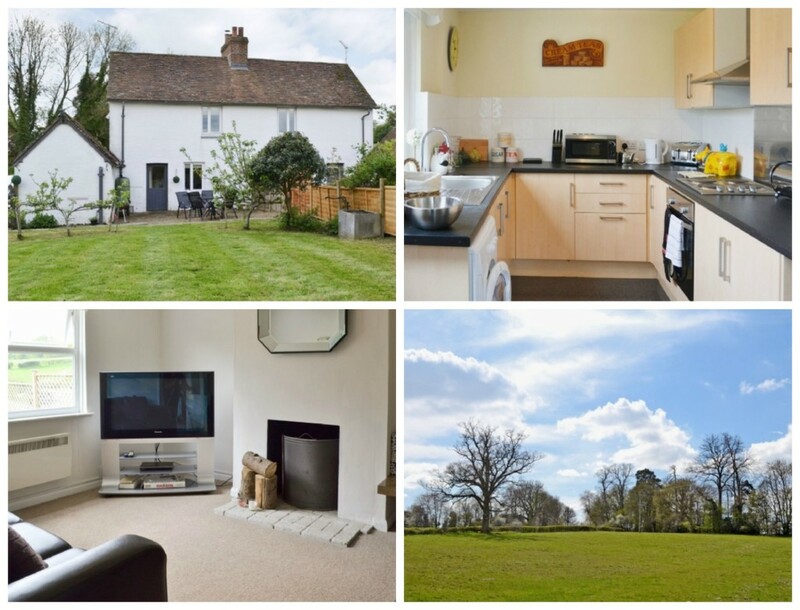 These next five cottages, readily available to book via our site, are a stone’s throw away from The Big Smoke. Easily accessible by car, and quicker (in some cases) via public transport, they provide a restful, tranquil base in which to take some time out for yourself and re-charge. They could even be the undisturbed spot you need to find a new perspective. Less than a two hour drive from Central London, or just over one hour on public transport, you’ll find the London suburb of Sunbury on Thames. This riverbank village has the spirit of a much livelier town, with some of the best bank-side views of the River Thames. This cottage looks directly out onto the water and colourful procession of rowing boats; it even has a waterside decking area for those who want to sit down and watch the world slowly go by. With a whirlpool bath to help you relax and a double circular bed in which to sprawl, it’s perfect for those who need to get away, but not too far. Have you been taking your stress out on your partner? This cottage, a neat two hour drive from Central London, is the perfect way to thank them for their patience. Based in the midst of multi-coloured beach huts in Frinton On Sea, this lovely semi-detached cottage is an ideal spot for a breakaway from the city. It comes complete with french doored patio area, the perfect place to sit down for a glass of wine at the end of the day, and modern, hardwood interiors. From the local farm shop – located within walking distance – you can purchase a whole host of goodies ready to treat your loved one to a romantic meal. And then take walk to the pub, because there are much worse places to nurse a hangover. This boutique-style holiday strikes a beautiful balance between rustic charm and modern luxury, and is located just a one hour drive away from Central London. Kent, one of the closest counties you can get to London without being within its borders, offers tudor-style buildings, renowned Kentish countryside and a quaint, but ample, shopping scene. 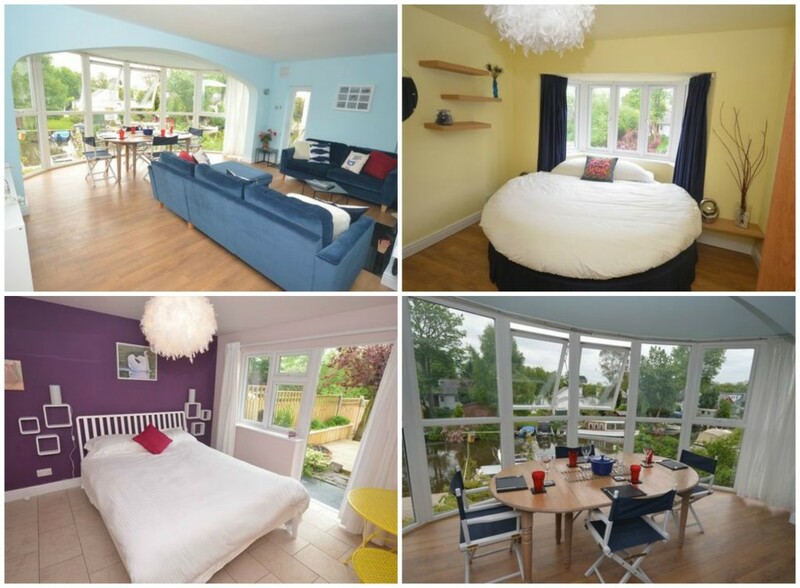 With its enclosed garden and patio and pet-friendly welcome, this cottage encourages relaxation. There’s also an outside barbecue if you fancy getting back to delicious basics and revelling in the rural space outside of London. 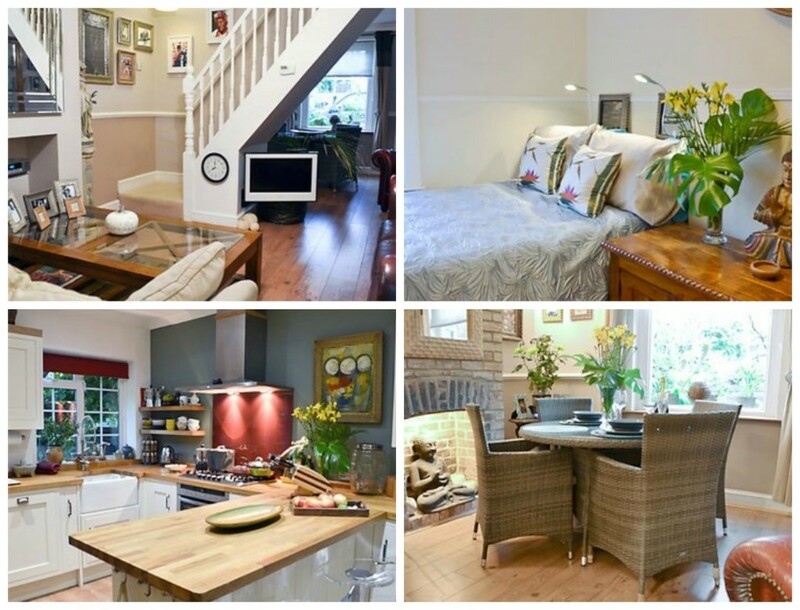 A stunningly decorated and beautifully clean little home, perfect for a couple. The one thing missing from your London lodgings? A swimming pool. Or so we guess. 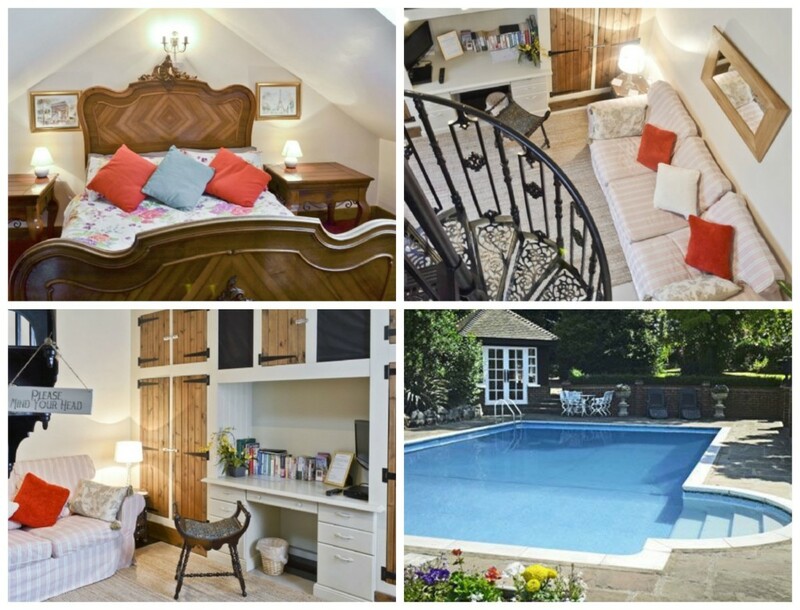 Get yourself to Tunbridge Wells for this cosy cottage and make use of the owner’s heated swimming pool and sauna, available by prior arrangement. A one and a half hour drive from Central London, Tunbridge Wells is ripe for exploration – be it along the famous surrounding National Trails or through the specialist shops and eateries. On every 2nd and 4th Saturday in the month, Tunbridge Wells sees a Farmers’ Market take over the space outside the Town Hall – just remember to bring your own bag! The cottage in my opinion is the best accommodation I have ever stayed in. Clean and cosy with beautiful landscape grounds. Here’s to your very own farmhouse, overlooking acres of lush green fields, and only a one and a half hour drive from Central London. With nearby lakes, farm shops and windmills, the quintessentially British village of Ockley is a treasured part of Surrey and neighbours the Surrey Hills Area of Outstanding Natural Beauty – which more than lives up to its name. Make use of your new local produce for a home-cooked meal, or visit a nearby restaurant if you’re taking a break from the stove. 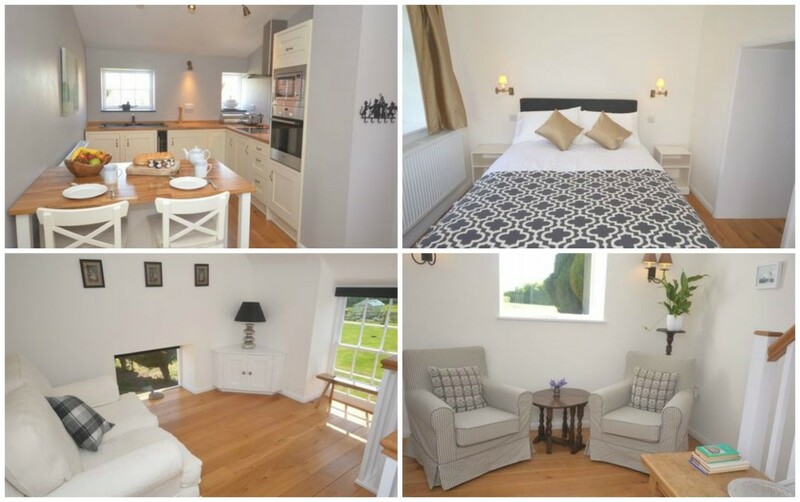 Then snuggle up by the fire in this lovingly furnished cottage. 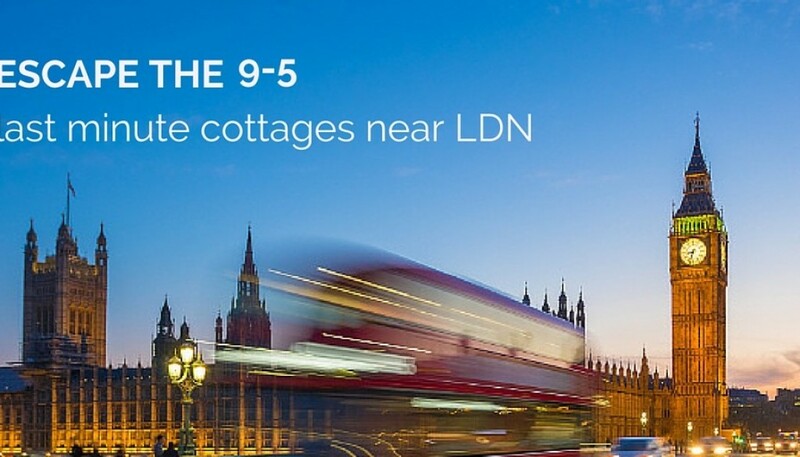 Use our feature below to find the cottages nearest to you! 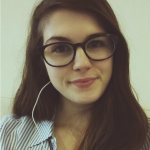 I’m Hannah, content writer and lover of all things UK! From my childhood summers spent in the Lake District to my old-lady love of quaint English tearooms, I’m a sucker for everything countryside-chic. And if I can even *mildly* convince you to get out and fall in love with the UK’s green pastures as much as I do, then it’ll be a job well done!